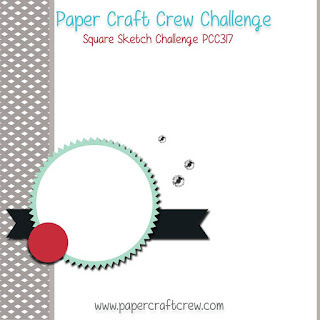 Tina's Crop Shop: PCC317 Sketch Challenge - Christmas Card! The sketch really looks more like a square card but I went with a standard A2 top-folding card. I used all retired products for this one. 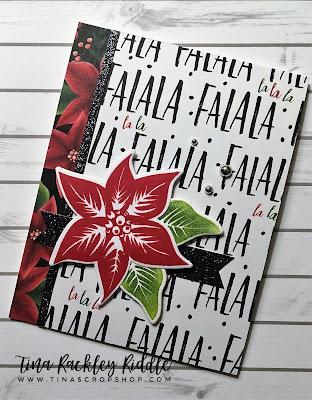 I don't know if you do the same but if I love a stamp set or Patterned Paper.... I try to keep it around a little while. 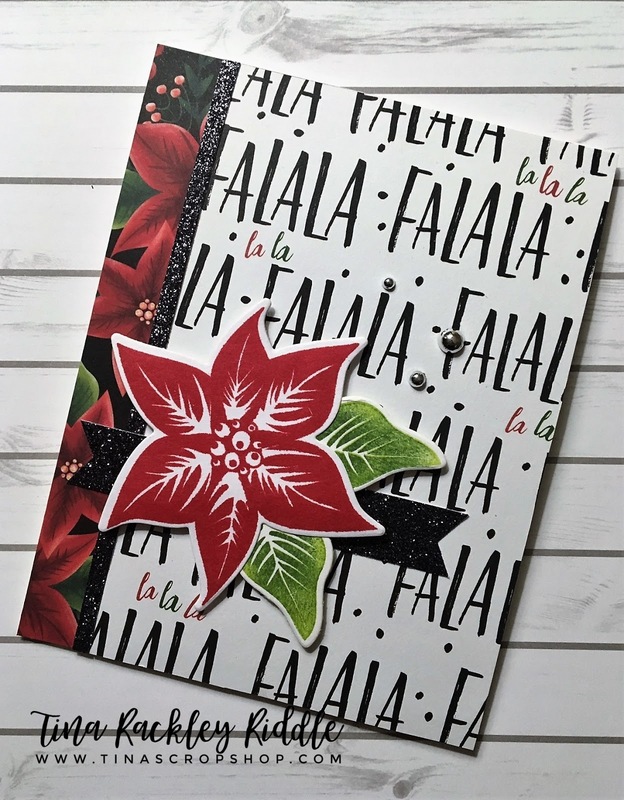 The Poinsetta Burst stamp set and Paper came from Fun Stampers Journey last year during their Christmas release. The Patterned Paper was from the same release... I can't think of the name of it though. I bought quite a bit of the paper because it has such fun yet classic Christmas designs. I will probably use it all up by the time I finish my Christmas cards though! At least the stamp set will hang around for a while. The glitter cardstock that I used for the strip as well as the banner are from Concord and 9th! I love their glitter paper! Thank you for the GORGEOUS inspiration! My card was thoroughly inspired by you! Awww.. so sweet of you to say! Thanks so much!